Expanding The Team - Meet Our New Lead Videographer! Where to begin? Well, we’ve been keeping a little secret for the past few months and we’re finally ready to share. We’ve added a team member to KMP! Meet Zach – our lead videographer. That’s right, we’re now offering videography services to our brides and also to creative small business owners. 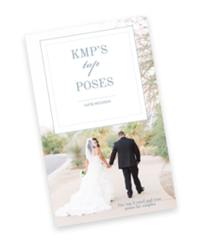 We’ve also had a slight shift in our business name…Katie McGihon Photography & Film. It just feels right, don’t you think? I’ve known Zach for several years through my church. We’re worship team buddies! I’ve have worked with him as I eased my way into the Video Director position at Southwest Church. (No idea what I’m talking about? Read more about that here). Over the last 12 months, it became clear to me that Zach was not only talented with a camera in his hands. He was also generous with his knowledge, crazy about Jesus, an incredible husband/father. Time and time again, he proved that I could trust him. That last one is huge for me as I don’t trust easily. 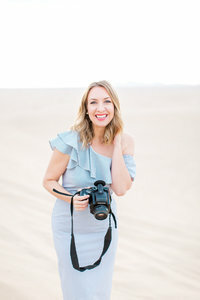 We’ve had so many brides ask us for videography services in the past and no one ever fit the bill. We’ve been happy to refer to other businesses but wanted to offer this service in-house. We sat down with Zach and his lovely wife (also a Katie) at Fleming’s (our spot). To be honest, I didn’t know how I wanted this to happen until I found myself CRYING at Fleming’s. No joke. My feelings always come out at Fleming’s. Long story short – here we are with a new team member, a new name and new services for our sweet clients. It feels like Christmas. We will still be booking just a handful of weddings each year. We keep our client list small and it suits us well. If you’re a current KMP(&F!) bride and would like more information on adding videography to your wedding day, shoot me an email and let’s chat. We’re also offering promo films for creative small business owners and would love to hear from you if this is something you’ve been dreaming of. Come back tomorrow to learn more about Zach! A thousand thanks to L and B Photography for our new team headshots.